Wellbe seeks to offer excellent and very special care for various conditions that people face through their lives. Sadly, but it is not always possible to reverse the flow of a disease; one of such situations is dementia and Alzheimer’s disease. The damage that these diseases cause to the brain is believed to start a decade or more before a decline in cognitive function is apparent. Alzheimer’s disease is an irreversible, progressive brain disorder that accounts for about 50–75% of all cases of dementia. However hard it may be, sometimes we have to accept that our dear ones just loose the sense of the real world as their mind and spirit drift into another dimension. They continue to live in their own world and it has to be accepted. However, our care for them and making sure that they can still enjoy life in fine and warm human conditions and surroundings can make things slightly easier and less painful for the family. One such place, where everything is dedicated to support the life of people with dementia and Alzheimer’s disease is a care home in Croatia which the Wellbe team recently visited. We were pleasantly surprised with the look of this very new place (only two years old), the living conditions that the home provides for its clients but, most of all, with the staff and their genuine care, expertise and cordiality. The care home investment has been made by the German company Bauerfeind that specializes in the production of medical aids that help people regain their mobility and wellbeing. 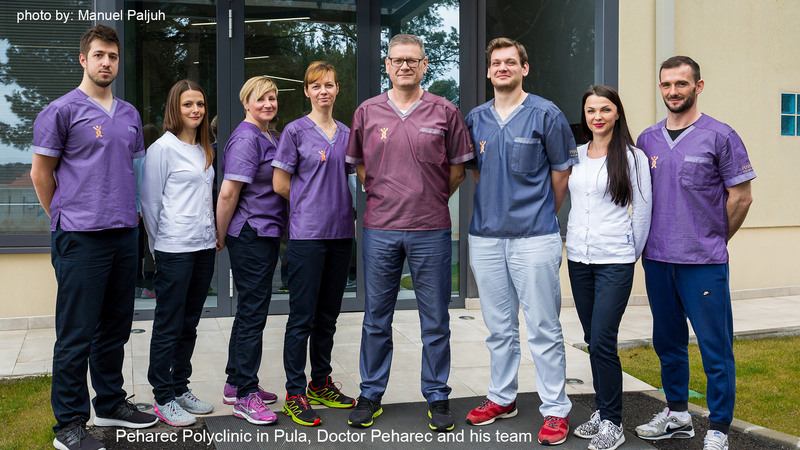 Together with the experts in the field of dementia type diseases they have created a home for elderly and adults with severe illnesses not far from Zagreb. They also informed us of their plans for other similar homes on the Adriatic coast. It is a modern institution with equipment of the highest standard. The entire place is built as a ground floor without lifts, stairs and obstacles that would otherwise make moving about more difficult for the clients. The home is set in a pleasant green area, and, on the inside, secluded yards which nicely obscure sight from outside, although the whole place is in the very centre of a small town. The well-educated staff provide comprehensive care that includes housing, nutrition, personal hygiene, health care, medical staff supervision, maintenance of living space, and organization of work activities, including gardening, creative games, art workshops and so on. I very much liked the setting of the rooms which give a nice, warm feeling of home and which are additionally equipped so that they help their clients to be reminded of the familiar things and activities. Wellbe is able to offer this kind of service also for our international clients with the intention to provide the best service possible in the given circumstances.